Well, you’re right. That someone is of course Gameloft, the guys who do just about every other superhero-centric movie-tie on mobile. And they have just sent out the first little teasers of what you can expect from the game. 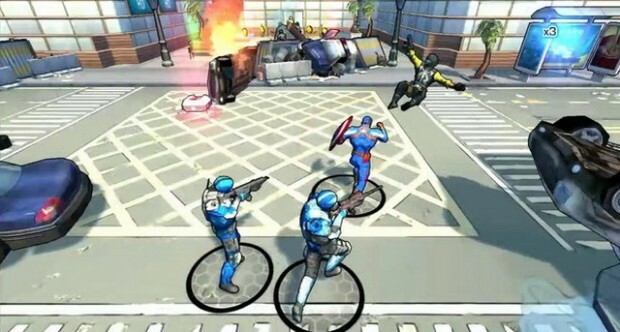 The game’s storyline will be an original, written by Marvel and will draw inspiration from the movie of the same name. It will be a 3D action game with cel-shaded comic book style looks. Players will of course take on the role of Captain America and lead a team of elite S.H.I.E.L.D agents against Marvel’s infamous villains who are plotting something sinister on a global scale. Both single player and multiplayer campaigns are planned in the game and players will have the ability to join clans and compete in leagues. Captain America: The Winter Soldier is expected to land on Android in late March. Keep an eye open for more news on the game in the coming days, and enjoy this little video teaser in the meantime.